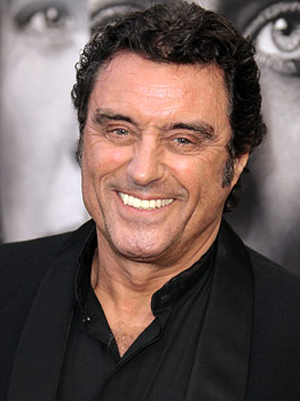 Ian McShane of HBO’s Deadwood fame is all signed on to play Blackbeard in Pirates of the Caribbean: On Stranger Tides. McShane will play the main villain for the film which shifts its focus completely on Johnny Depp’s Captain Sparrow. Orlando Bloom and Kiera Knightley are not signed on to do any more films in the series. Blackbeard was the famous pirate whose real name was Edward Teach and was the captain of Queen Anne’s Revenge. Joining McShane’s Blackbeard and Depp’s Jack Sparrow will be Penelope Cruz as the equal and foil to Depp’s Sparrow. On Stranger Tides is said to tell the story around the Fountain of Youth. The film is set for release on May 20, 2011. As much as I loved the first film in the series, I couldn’t stand the sequels. It seemed they completely abandoned the character arcs from the first film, and lowered the character’s IQs by 2o points to bring in more inane plot points. I won’t be wasting my money on the fourth film.